China had reasons for rejecting the Indian demand. There has been a hue and cry in the media on China blocking for the fourth time the listing of Masood Azhar as a global terrorist by the UN Security Council (UNSC) under resolution 1267. With elections close, the opposition was quick to grab this blocking and target the government for its failure to convince China. The BJP on the other hand accused the past Congress leadership of turning down the US invite for India to be a permanent member in favour of China. 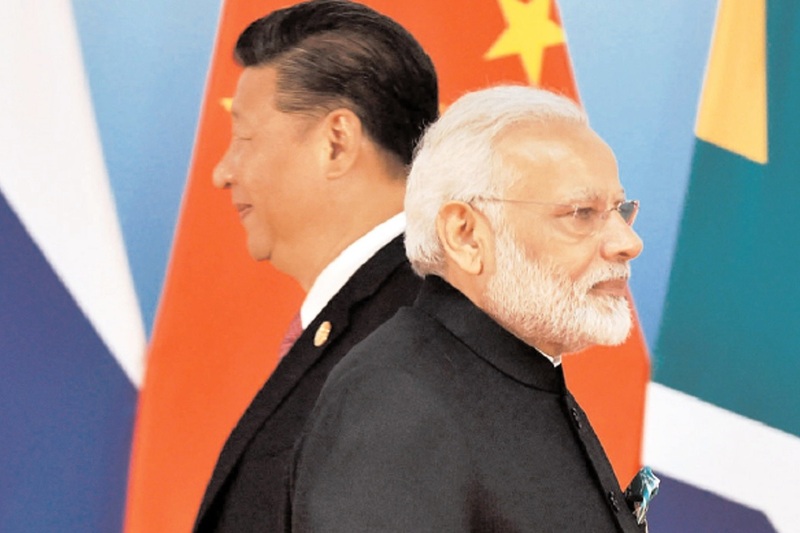 India and China have discussed the listing of Masood Azhar multiple times in the past, including when PM Modi met President Xi Jinping in Wuhan. Every time China has been non-committal. All proof provided by India to China has been considered insufficient to blame Azhar for activities on Indian soil. This was simply because China had already made up its mind. In my opinion China had limited choices. China could in no way be expected to support India in favour of Pakistan for its own reasons. Hints about the Chinese stand were evident in their statements preceding the recent UNSC meeting. Even if China had decided to do India a favour and mark Masood Azhar as a global terrorist, would it have changed anything? Pakistan is known to be a harbour for terrorist groups and leaders. When the consolidated list of the sanctions committee was updated in 2019, of the 262 individuals and 82 organizations, more than 100 are linked to Pakistan. They are either based in Pakistan or are Pak nationals or groups located in Pakistan. Hafiz Saeed and Dawood Ibrahim are both on the list. Despite known addresses of both, no action has been taken. Resolution 1267 implies that the country where they reside is expected to freeze their assets thereby preventing their movement through and beyond the shores of its territories. States are expected to pass laws adhering to the resolution. No serious actions have been undertaken by Pakistan in either case. Dawood has a Pakistani passport, is known to have visited Dubai on multiple occasions and runs multiple businesses from his base in Pakistan. Hafiz Saeed entered the list in 2008, post the Mumbai attack. His case is even more classic. On his entry under resolution 1267, he was placed under house arrest by security agencies in Pakistan for a period of 3 months, which ended in March 2009. It was further extended till May 2009. In May 2009, Hafiz challenged his detention under the UNSC resolution proving that action against him was biased. He was freed by Pakistani courts. He has since then been free, conducting his Friday sermons, inciting public to join one of his groups aimed at protecting Pakistan from US and India, while collecting funds for terrorist activities. His detention post the Balakote air strike would be similar and effective for a few days, till the pressure reduces. China had reasons for rejecting the Indian demand. Their reasons are both economic and strategic. Chinese investments in Pakistan are only growing. The Baluch Freedom Movement is against Chinese occupation of Gwadar and has regularly targeted Chinese workers. It cannot afford to have more enemies within Pakistan. It would only increase delays and hamper investments. It desperately needs the support of the Pakistan army for security of its investments. Masood Azhar is a close associate of the Pakistani army and his listing could impact Chinese economic investments. Strategically, Indo-Pak enmity suits China. It divides Indian attention and shifts its focus from China to Pakistan. The fear of a two-front conflict, despite all Chinese statements, including at Wuhan and promises of neutrality, remains foremost in Indian strategic minds. It impacts the Indian defence budget and ensures that its military assets are divided rather than focussed against it. If Masood Azhar had been listed, it would have been a rap on Pakistan’s knuckles which China cannot let happen. Therefore, China had to block it. It would not have any objections if any other entity or group including the EU passes such strictures, as along as it is not involved. China also had to repay Pakistan for not commenting on its actions against its Uyghur Muslim population, whom it has incarcerated in multiple rehabilitation (prison) camps. When Imran Khan was questioned on it, he commented that he did not know much about the situation. He said that he would raise the subject in private with the Chinese because, ‘that is how they are’. Pakistan had always banked on its nuclear card as a deterrent to Indian actions, the same has been washed away by the Balakote strike. Pakistan is presently vulnerable, China cannot let it be pushed further to the wall. China may also prevent Pakistan from being blacklisted at the upcoming Financial Action Task Force (FATF) meeting. It cannot directly prevent it remaining on the Grey list but can prevent its downslide. Masood Azhar has a close bond with the deep state. The camp which was destroyed at Balakote had JeM cadre under training. It is their cadre which is dominating actions in Kashmir. Hence, Pakistan would ensure that even if he was listed by the UN, there would be no impact on his activities. The actions presently undertaken by Pakistan including closing his institutions and placing designated leaders of the JeM under ‘preventive detention’ is nothing extraordinary. It is undertaken whenever Pakistan comes under pressure. As the pressure lifts so would the curbs. Hence, all who were hopeful that China would this time support India are living in Utopia. China is solely concerned about its own national interests, rather than those of others. India is its competitor and only challenger in Asia. Pakistan has been built as a counter-balance to India by China, hence is more important to it. The Indian government was neither hopeful nor expectant. Even if he was listed, it would only have been a morale booster for the government and an additional advantage for the elections. Realistically, the impact would have been nil.